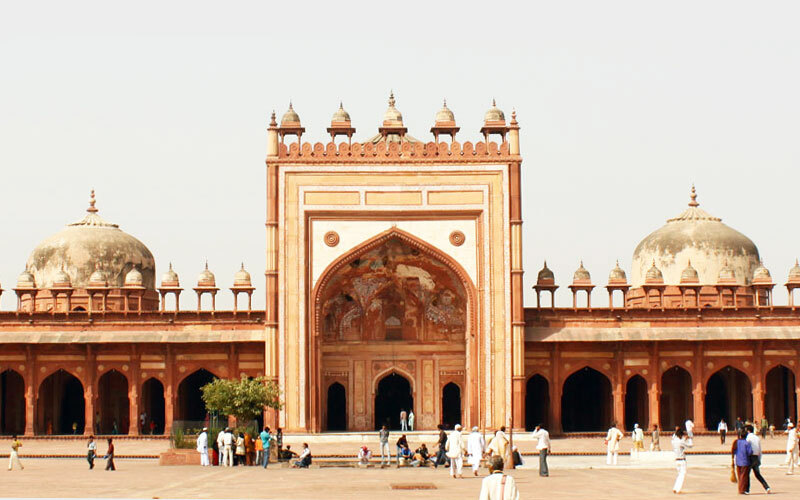 Fatehpur Sikri is a small city in Uttar Pradesh which is very close to Bayana, founded by a Mughal emperor. Red sandstone buildings are the center of attraction. In Fatehpur Sikri, Buland Darwaza gate is the entrance to Jama Masjid mosque. 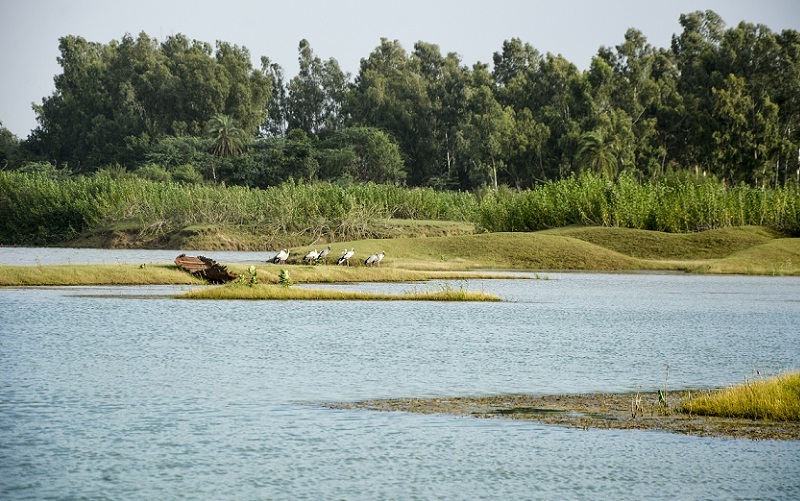 Nearby is the marble Tomb of Salim Chishti. Diwan-E-Khas hall has a carved central pillar.Jodha Bais Palace is an infrequent exemplary of a mix of Hindu and Mughal styles, next to the 5-story Panch Mahal. 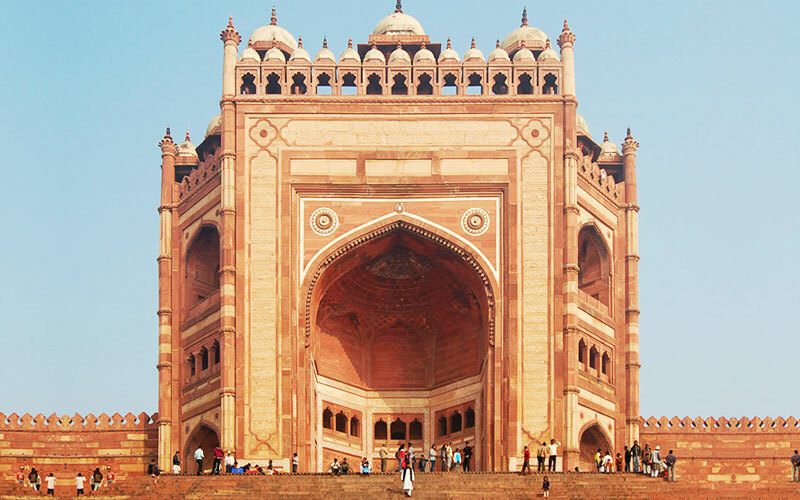 Buland Darwaza has situated in Fatehpur Sikri 43 km away from Agra. Akbar built the Buland Darwaza to commemorate his victory over Gujarat in1602. The Buland Darwaza, approached by 42 steps and 53.63m high and 35 meters wide, is the highest gateway in the world and an astounding exemplary of the Mughal architecture. Buland Darwaza is made of red sandstone and adorned by engraver and inlaying of white and black marble. An inscription on the front face of the Buland Darwaza throws light on Akbar's virtuous tolerance and broad mindedness. Buland Darwaza is a wonderful example of Hindu and Persian architecture, it is also known as "the gate of grandeur". This door opens of the Buland Darwaza towards a large courtyard and Jama Masjid. This octagonal shaped door is decorated with domes and towers. A Persian inscription on an eastern arbor way of the Buland Darwaza records Akbar's victory over Deccan in 1601 A.D.
Jama Mosque is built by the Shan Jahan in between 1644 and 1656. This Mosque is dedicated to the daughter of Shan Jahan. In the construction of the Jama Mosque white marble and red stone was used. The design of the Jama Mosque is unique astounding and is rare to find in the world. It is well constructed with a fountain at the center. In the courtyard of Jama Mosque can accommodate more than 25,000 persons. There are three domes on the terrace which are surrounded by the two minarets that enhance the beauty of Jama Mosque. On the floor, a total of 899 black borders are marked for worshippers. The wing on the prayer wall and panel are beautiful design with sandstone, most resemble with the one in Taj Mahal. This is a testimony of astounding culture, tradition, and love for architecture during a Mughal period can be understood. Tomb of Salim Chishti is one of the finest examples of the Mughal Empire. Tomb of Salim Chishti facing south towards Buland Darwaza within the quadrangle of the Jama Masjid which measures 350 ft by 440ft. 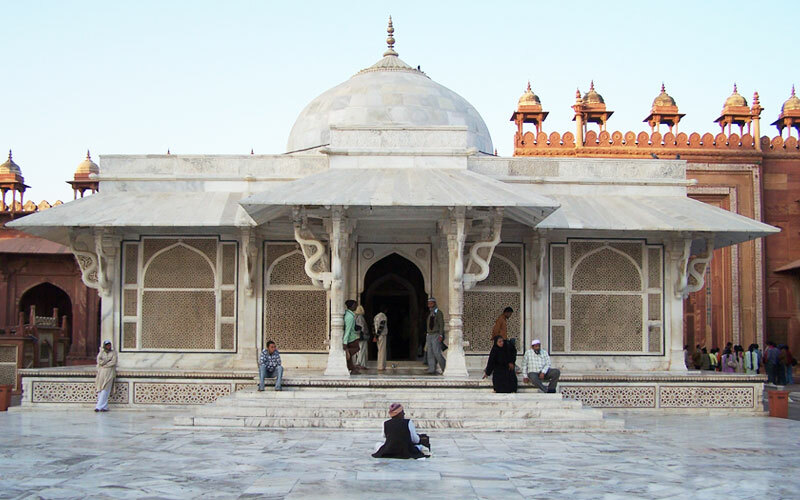 It preserves the burial place of the Sufi saint, Salim Chisti a descendant of Khwaja Moinuddin Chishti of Ajmer; they give a blessing to Akbar's or Salim. The Tomb constructed by Akbar of his respect for the Sufi saint. The mausoleum is built on a platform of about 1 meter high, with the entrance door above five stairs. There are four pillars on the door in which attractive carvings of belbuton with geometric shapes. Marble forged around the main tomb, which looks like ivory to see due to pretty work.